As engineers we seem to be focused on numbers and details. In our training, no focus is ever put on selling ourselves, presentations, business etc.. Yet more frequently I find myself in situations where I’m required to give a presentation and then get a grilling!! I hate that side of the job. Never something I feel comfortable or confident doing! Ps - sorry if this is in the wrong forum as its non technical..but I’m keen to hear from structural engineers! Presentations come naturally to some but not to everyone. Lawyers have the same problem, so I'm not sure that training is the answer. Take comfort in the fact that, with repetition, you will improve. But first, you have to stop hating it! If it's something you don't like doing and it makes you feel uncomfortable, then you need to force yourself to do more of it until you get comfortable. Honestly, the design side of my job is almost the smallest portion. People pleasing is probably the largest. This is one of my pet-peeves. School acted like it was a sin to discuss or learn money, people skills, salesmanship, etc. They wanted us to have that "well-rounded education" that for me included Humanities electives like Greek and Roman Mythology. I would have happily substituted that class for one on giving presentations, learning to have a poker face in meetings etc. but that course did not exist. School also made out like grades were your sole objective to success. One year out of college and no one cares about your grades. Presentations require "being fast on your feet" and selling your company, your design concept and yourself. The only way to get good at it is keep trying and learn from both mistakes and successes. One piece of advice, practice your presentation in front of someone who is not fully aware of what you are presenting. Make sure they follow what you are presenting. It is like writing a short document, we proof read our own work and it makes perfect sense. Someone else reads it, and they have a 1,000 questions. When we read our own work, our mind is constantly filling in missing details because it knows them. A potential Client gets frustrated when this happens because it makes them feel both dumb and lost. There are classes and Toast Masters. I suggest you look through this site; there's been a few threads about public speaking. I'll respectfully disagree with Ron247's hot take on the humanities portion of an engineering degree. Keep it in and keep it mandatory. The humanities courses open some windows and doors to let the technical brain air out and get a feeling of the other part of analytical and logical thinking. Narratives, historical studies, language studies, human topics — these all teach fundamental concepts that are just as necessary in your career. Presentation, documentation (ie. writing reports, proposals, procedures), and business skills are all areas of studies that should be supplemented with good mentorship (from a senior colleague), good collaboration (from your peers), and proactive development (from continuing education). There are writing programs through post-secondary institutes that cater toward technical writing. Writing takes a lot of critical analysis in your own process. Not many engineers (including older, senior, highly educated ones) have a handle on presentations and documentation. Presentations classes were mandatory at my school, but it wasn't until 20 years later that I got "it" after a crash course from corporate "communications" experts, yeah right. But, as it turns out, they knew their stuff very well, and gave lots of good tips. I will also respectfully disagree. The course work I pointed out to substitute for humanities, opened windows and doors also. None of the courses I listed were technical, they were all "people interaction" related but they did not exist at my college. And they do not exist in few colleges.. That is what the thread somewhat started about. But, that is what this debate is about, how to we improve. The reason I pointed out humanities and Greek/Roman is we had a required 2 hour humanities. Greek and Roman was one of the few 2 hour one that existed. In those 2 hours, I learned that if it involved women and drinking it was Zeus. Did not help me in the long run. But I really respect your opinion. Geez, I looked into where I graduated from to see how it is now compared to the 80s when I graduated. I thought I may be talking but not keeping up with the times. It is a well-known USA college, but not one of the "top-shelf" ones. Now, I am more concerned. I am proud of where I went to school and know my personal money was well-spent. But now, check this out. We all know civil engineering is a wide-spread field. It contains geotech, structures, civil, water treatment, sewage treatment and environmental. But I wanted to specialize in structures only. I had already been in construction for 6 years and was a carpenter. I had it easy compared to now. I just reviewed the curriculum. Here is how it lays out in 2019. One mandatory course in "Geotechnical Engineering", 4 hours-- relevant to me. One mandatory course in "Construction Engineering", 3 hours--relevant to me. Six courses in "Plan of Study Elective, 18 hours-this is where you sculpt yours classes to me your desires--for me that would be classical structural analysis, Stiffness method, FEM, concrete 1, steel 1, timber 1 etc. This is why you went to school in the first place. 18 hours is just a little over 1 semester. Five courses of "Humanities Elective", 15 hours- my exact point; 15 hours I could have used for non-technical but related to "the engineering profession" courses. 18 hours strictly dedicated to the profession that I came to school for and 15 hours where I chose the easiest thing I could find because one was not better than the other (witchcraft was another option but I am scared of "eye of newt"). Yes, I could pick some challenging Humanities, but I worked 20 hours a week Mon-Fri and 24 hours Sat and Sun while enrolled full time. Yes, I took easy-A Greek and Roman by choice. I will admit they now have a 3 hour public speaking course required that was not required when I went to school. That is a definite improvement but probably a 2 hour course would have sufficed. But 18 hours for my desire and 15 hours for "well-rounded" I think is not a good trade-off financially. Incidentally, I petitioned my college to let me replace Humanities with Mechanical Engineering classes and they did not let me. That is where I first heard "Well-Rounded". It was my money. Let me waste it if I want to. I could have gotten 2 degrees with one semester more had they let me. We only have so many hours a week for college, especially if you work, are married, have kids etc. The humanities electives, most of us choose the easy-A class. I know I can easily find 15 hours of non-technical classes that would help tremendously but they did not exist. Now they did have some courses I could have taken except one thing-prerequisites. You want X, but first you must take Y. This is the kind of debate that will help all of us in the long run. Me included. Presentations are part of business. My thoughts, as one who has spoken in front of audiences 100's of times (not all business related). Write down what you want to say; go through it a few times to make sure it flows; each time you go through it, polish it up. You don't want to make it sound like a lecture; you want to make it sound like you're having a conversation. If someone else wrote your lines, don't be afraid to change it. You have to express things in a way that's comfortable for you. Sometimes people will write in "tongue -twisters" and not realize it. Also, no sexism intended, men and women express emotions and passions differently. Nothing wrong with humor, it can help break the ice or make a point, but unless you're comfortable in front of an audience, avoid it. Practice reading out loud; time the speech as you're reading it. Practice with an audience; speak s-lo-w-l-y, clearly, loud, & make eye contact with different people. Unless you're a trained actor, don't memorize the presentation. with sufficient practice and depending upon the length, you will be able to remember some or all of it. I use the slides to help me remember things but I always have the write up at my side if I need to refer to it. As Pavarotti said, it's good to be a little nervous because it keeps you focused. When you say your are getting "Grilled", give us an idea of what happens. Bridge make some very good points, and the one about eye contact is one that I have seen technical people tend to avoid. There are personalities out there that are bothered by lack of eye contact, to a degree they take it personal. Watch people in any meeting your are in for facial cues, annoyance etc. Most of us think our way of doing things is normal. Truth is, in communication, less than 20% of the people communicate the same. So, given a general audience, your never going to reach everyone the same amount. Figure out who counts more in the audience and then do something that is gut-wrenching painful, communicate they way they do rather than how you do. Your gut will tell you that you are doing wrong, but ignore it. Eye contact is one of those items. A friend of mine in a meeting got chewed out by a Client for not looking at him when the Client was talking. The Client angrily asked him "Is there somewhere you would rather be". Truth is, my friend was paying attention to every word better than any of us, but he tends to look away and takes great notes. He was already in the process of trying to change this trait over time before the Client chewed him out about it. Other people in our firm had already noted this and advised him to work at changing it but it takes time to change a 30 year old habit. If you ever meet someone who can quickly and accurately assess how someone communicates and then responds in that manner, you will see something amazing. 1) If you're using PPT, do not write out your lines on the slides in any detail. The slides should be minimalist and really just serve as a high level table of contents to remind you of the structure of what you intend to say and to allow your audience to see that structure unfold in a simplified fashion. An interactive, conversational presentation is almost always best. 2) Over time, and out of necessity, I gradually disassociated my presentation self from my physical self. I came to envision KootK as just a generic, talking head delivering a message. Other than simply not doing ridiculous things with my body, I found that maintaining any kind of body awareness just made things more complicated than they needed to be. It was much better for me to focus on my message exclusively. Perhaps you're built like Beckham and body awareness only enhances your confidence, I can't tell from here. 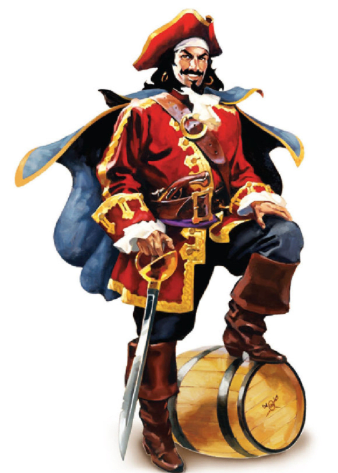 True story: I once presented for 7hrs straight in Providence, Rhode Island with my fly down, sometimes in a Captain Morgan stance. But the message delivery was sound and we all got a good laugh at me during the post-seminar dinner. If you can't be cool, be humble. I'd like to be able to tell you that anybody can get to pro-level presentation skills given enough practice but I don't personally believe that. Having seen some "naturals" do their thing, I think that there's definitely an argument to be made for the division of labor. This is why many larger firms will have dedicated or nearly dedicated business development staff. That said, the only course of action is to do the best you can with the abilities that you've got. The closer you get to Don Draper-ness, the more valuable you'll make yourself. I like presentations on engineering projects or just topics of interest for the target audience. First thing I learned about presentations is they use a program called PowerPoint which usually ends up with a computer connected to a big screen. I had to learn to use the program and how to connect cables. I also find myself spending a lot of time working on the cover slide photos. The cover slide gets the most time viewed and if you print the presentation the cover slide is on top. The second thing I learned is you are going to be talking, lecturing, or making a speech the entire time. The things you put on the slides support your words and keep you on track. So you need an outline of what you are going to talk about and then you work on your speech and fill in the slides with what your talking about. The Internet can give you good tips on making slides look good and how much to put on them. The most helpful I got was keep the words to a minimum as your audience is going to read everything you put up on the slides, so as soon as you click slides they all stop listening and read. I use a lot of pictures, tables, graphs, five word bullet points, and topics of three when I put slides together. Also during presentations you can communicate the message with your tone of voice and body language which cannot be done by a text report. An engineer that is comfortable explaining technical material will have many career options. I do this about 30-40 times a year, in settings ranging from a 1hr overview, to a 2 day 16hr deep dive. No, not all engineers can learn to do this well. Practice and training will move you along well. The presentation is only one side of this. You need to develop the skill to read the audience. Are they following? Are they interested? Are you over their heads or too simple? In many cases I'll go into a 90min slot with a 50 page ppt, and if interest and questions take us to some subject of interest to them on slide 7 and we get no further it doesn't matter. They got something out of it. And I'll get invited to come back and do it again. Keep the slides simple, just enough to give a general idea and prompt your memory. I try to almost never say something verbatim that is on a slide, people can read just fine. Keep the slide simple looking also, I usually use dark background with light lettering (in white or off white), no fancy colors, and usually no logos (marketing hates me). You want people focused on the message. Being nervous is OK, but you need to practice until the message is clear. Keep tweaking the presentation until it is smooth for you. I often use notes at first, but by the time that I am presenting I have no notes at all.